What a whole lot of twists and turns the WWE championship picture has taken this WrestleMania season. It's crazy to think that this all started with an injury. Mustafa Ali was replaced by Kofi Kingston in the Elimination Chamber match due to his injury, and Kofi took the ball and ran with it. He had a staggering 67+ minute performance on SmackDown Live in a Gauntlet match and came inches from winning the WWE title at the Chamber. While he was originally supposed to face Bryan at Fastlane, he was replaced by Kevin Owens. 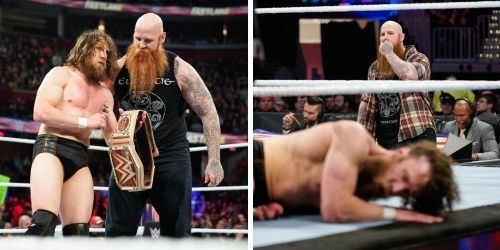 Mr. McMahon agreed to make it a triple threat match at Fastlane during the show, but Kingston was then screwed over, and the WWE title match became a triple threat involving Mustafa Ali, Kevin Owens, and Daniel Bryan. Bryan would pin Ali to retain the championship, meaning that he's heading to WrestleMania as WWE Champion. Here's why Bryan retained the championship heading into the grandest stage of them all. Kevin Owens had a really good showing along with Mustafa Ali at Fastlane. Though the crowd was chanting for Kofi Kingston throughout the match, that didn't stop the two from putting on an incredible performance. 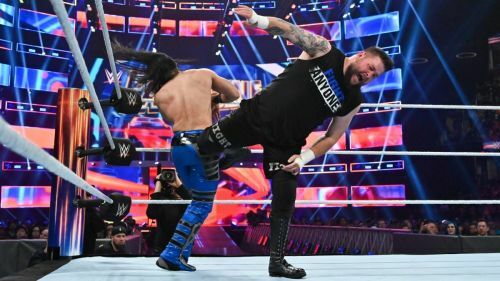 This Kofi Kingston-WrestleMania storyline seems to have been a change in the last minute, and WWE probably didn't want Kevin Owens to take a clean pin. Ali was a safe option and they could ensure that Owens didn't have to get pinned for Bryan to retain. Also, this stakes a claim for Kevin Owens to still be in the WWE Championship picture. There's no question that he belongs there, and despite him not being the focal point of the storyline, it won't be surprising to see him still involved. Either way, it's a good thing that Owens didn't get pinned and hasn't been since his return.